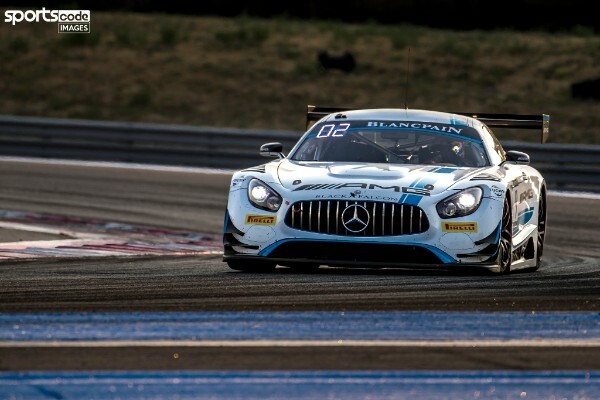 Adam Christodoulou missed out on his best-ever finish in the Blancpain GT Series when mechanical problems struck his No. 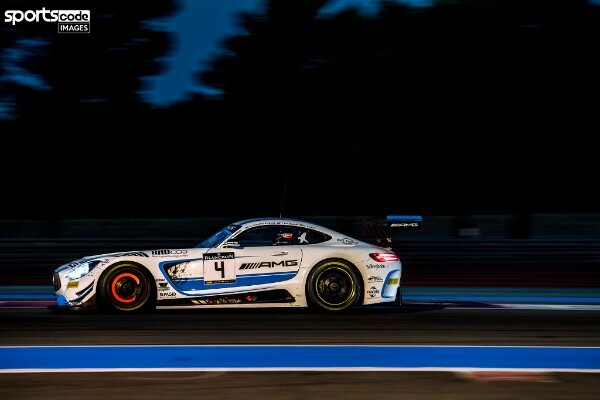 4 AMG Team Black Falcon Mercedes-AMG with 30 minutes remaining in the Paul Ricard 1000km. 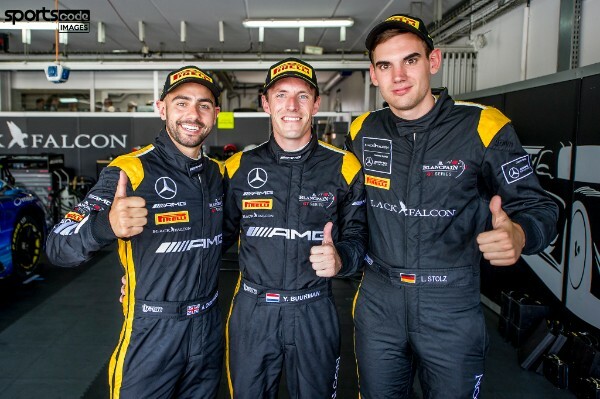 Together with Luca Stolz and Yelmer Buurman, who qualified the car on pole,Christodoulou was running third in the six-hour prelude to the Spa 24 Hours when he lost drive and was forced to retire the car, costing him a first outright Blancpain GT podium. “It’s just heart-breaking really to come so close to a result, only to see it slip through our fingers,” said the 28-year-old. Proving his pace in qualifying was no fluke, Buurman built a 1.5 second lead over the 58-strong field by the end of lap one and had increased his margin to 3.5 seconds before the race was neutralised by the safety car on lap eight. After a brief return to green-flag running, a Full Course Yellow prompted the majority of the field to make an early pitstop, but AMG Team Black Falcon elected to stick with their original plan and stay out until the end of the 65-minute allotted driver time. Buurman led a pack of four into the pits at the end of their window, with Stolz assuming the controls in 44th position. However another Safety Car meant his deficit to the leaders, due in for their second stops shortly afterwards, was drastically reduced and helped bring the team back into play. 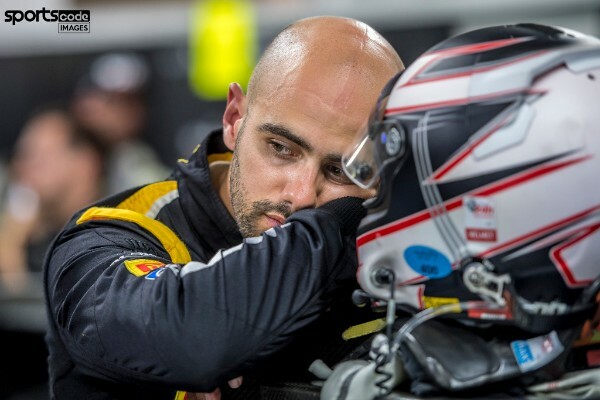 By the end of his 29-lap stint, Stolz had cycled back through to second, beforeChristodoulou climbed aboard for his first stint in 21st position. 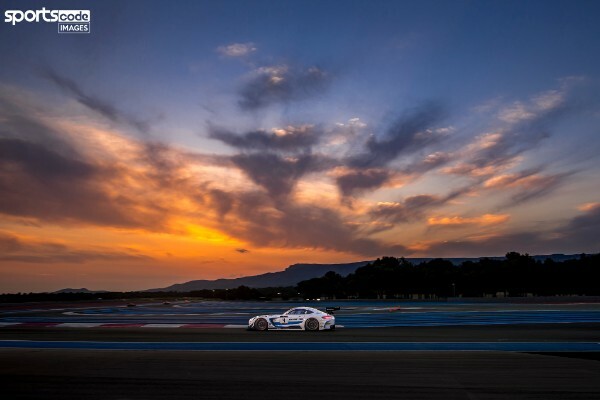 The Briton continued the car’s progress through the field as the sun set and executed a fine pass on the No. 2 Audi, which had been stubbornly defending its position for several laps, to get himself into some clear air and chip away the gap to the leading No. 99 BMW, running a similar divergent strategy. From over 30 seconds, Christodoulou had reduced the margin to 10 seconds when the BMW was forced out of the race, allowing him to lead at half-distance. “It was a confusing race to follow, which I think was due to us being offset against everyone else,” Christodoulou said. “There was a lot of discussions trying to figure out whether it would be the right thing to do or not, but we made the decision and stuck with it. I think at one point we ended up on the third page of the timing screens, but as people started to pit we made our way back into the lead. After pitting on lap 89, Buurman returned to the car inside the top 10 and again cycled through to the lead before handing back to Stolz, now in full darkness, on lap 121. Stolz resumed in fifth and kept the car in contention as track temperatures dropped before giving the reigns to Christodoulou for the final run to the flag. Running third and closing on the second-placed No. 72 Ferrari, Christodoulou was feeling positive when the car suddenly lost power at turn 12 and coasted back to the pits into retirement. “It’s a real shame because we were in third position and things were looking pretty good,”Christodoulou continued. “It’s extremely unusual because the AMG is known for its durability and being bullet-proof, it’s the first time this has happened. 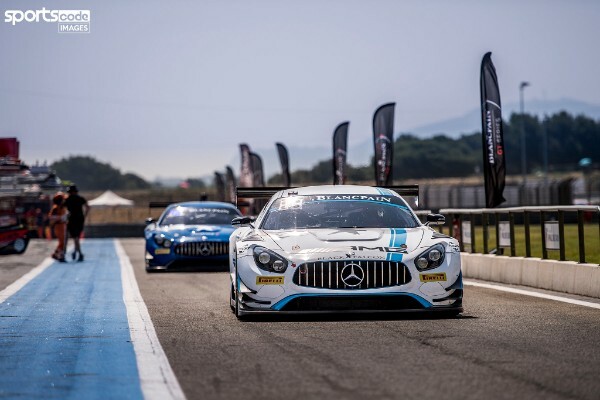 “We’ve been working extremely hard at Black Falcon and AMG to iron out any problems and optimise our package, but although we didn’t get the result in the end, it was nice to put on an extremely strong performance and it looked like we were going to be the top AMG as well.